The Venice Peace and Freedom Center is up and running. It is a community center and the campaign headquarters for Jim Smith for Congress (Retire Jane Harman) and Karl Abrams for Assembly (Health Care and Housing for All). 5 pm, Friday, July 14: Peace and Justice Vigil, at the Venice Circle, Main and Windward. Protest the war, Impeach Bush and Cheney, Save Lincoln Place. 8 pm, Friday, July 14: FILM - In honor of Bastile Day, we present The Battle of Algiers. Long before Iraq, the French were driven out of Algeria by an armed resistance. A $5 or $10 campaign contribution is requested. Refreshments are free. 11 am - 1 pm, Saturday, July 15: Campaign Committee meets. All supporters are welcome to attend. Free. Bagels, juice and coffee. 8 pm, Saturday, July 15: MUSIC - Recording artist and songwriter, Kathy Leonardo, will be joined Saturday July 15, by guitarist Vinnie Caggiano. 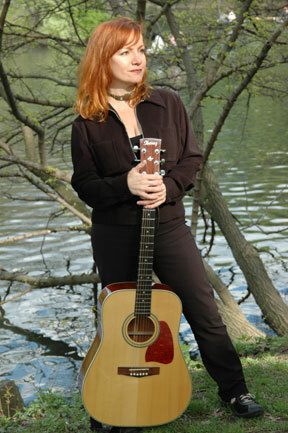 Kathy Leonardo has been writing songs for over 10 years. Like a diamond in the rough, Kathy holds within her being a rare unaffected honesty that audiences cannot seem to resist. In contrast to her driving uptempos, her ballads are breathlessly soothing, while her lyrics are emotionally intense. Kathy's sound is "Melissa Etheridge meets Sarah Mclachlan," with a sprinkle of Indigo Girls. Kathy is also an actress, has worked on Broadway and on TV shows such as Cosby and a sketch comedy show called "The Groud Floor" on Cable TV. A $5 or $10 campaign contribution is requested. Refreshments are free. 7 pm, Thursday, July 20: Community Forum. Topic to be announced. 8 pm, Friday July 21: What I learned about U.S. Foreign Policy. Compilation by Frank Dorrell.